The glorious fighting sail age makes history live! This era was dominated by the great fleets of England, Spain, Holland, and France. China, too, had a great fleet much earlier than the European powers. The emperor ordered it destroyed and relegated to obscurity. 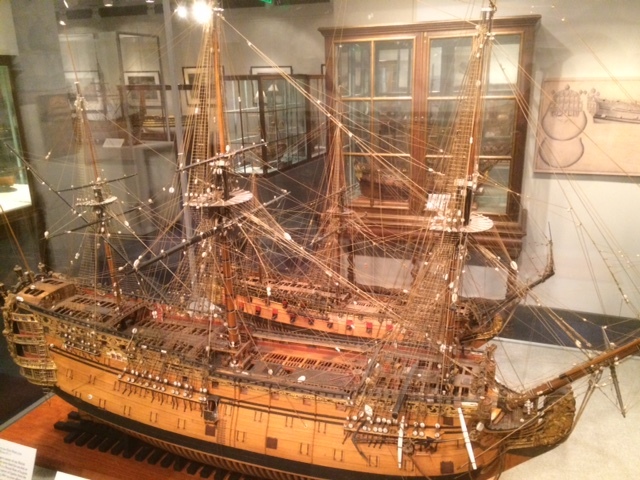 From the sixteenth to the nineteenth centuries, the maritime powers of Europe built larger ships and fleets. 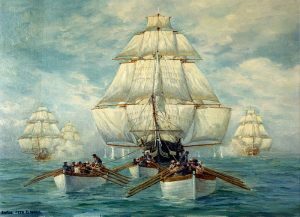 The age of fighting sail brings to mind names such as Horatio Nelson, John Paul Jones, John Barry, and Jack Aubrey. Fans also remember Richard Dale, Stephan Decatur, Horatio Hornblower, Oliver Hazard Perry, Ezek Hopkins, and Admiral David Farragut. This mix of actual and fictional characters demonstrates the blend of fact and legend that is evoked by this era. 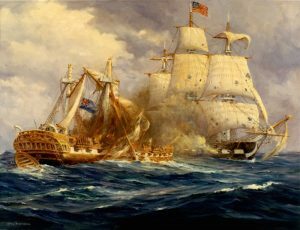 Ships such as HMS Victory, USS Constitution, Bonhomme Richard, HMS Surprise, USS Alliance, HMS Serapis, and USS Lexington sailed around the globe and into legend. USS Constitution, is still an active war vessel of the United States Navy. It has been so for over two hundred years. Hundreds of books have been written about this glorious era. Great authors such as C.S. Forester, Dudley Pope, Patrick O’Brian, and Alexander Kent, gave new life to the ancient heroes in the minds of millions of readers. But a gap existed. The vast majority of the stories written about the wooden ships and iron men in the fighting sail books were told from the British point of view. America has its pantheon of intrepid mariners, and their stories must be told. Enter David C. Perry to offer a fighting sail deficiency correction. David writes intricately researched and crafted stories showcasing intrepid American mariners during the glorious fighting sail age. Mr. Perry has written a number of books chronicling the glorious fighting sail age for the young United States Navy. Among these are Not Self but Country and The Crucible of Tradition.